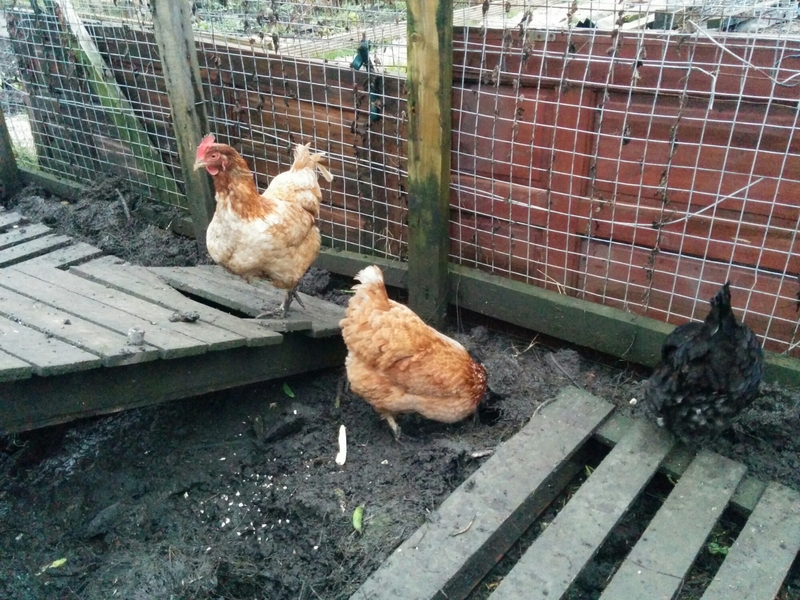 I sorted out the chickens with food for their indoor feeder, turned over the soil (desperately needed to be done weeks ago) and gave them some more greens to nibble. 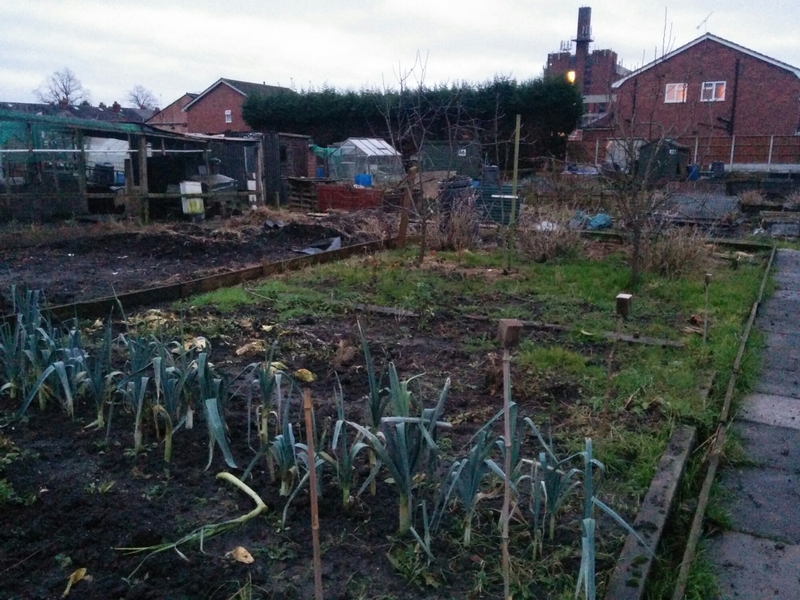 At the allotment, the guys have been busy building a new pathway. Brilliantly, this finishes just past our greenhouse! 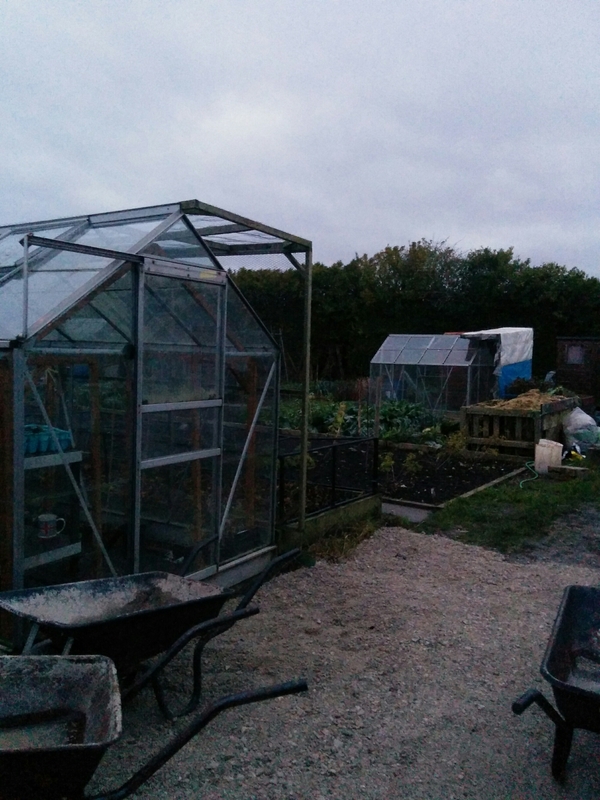 I also started to tidy the bean cages away and got rid of the ends of the cabbage. 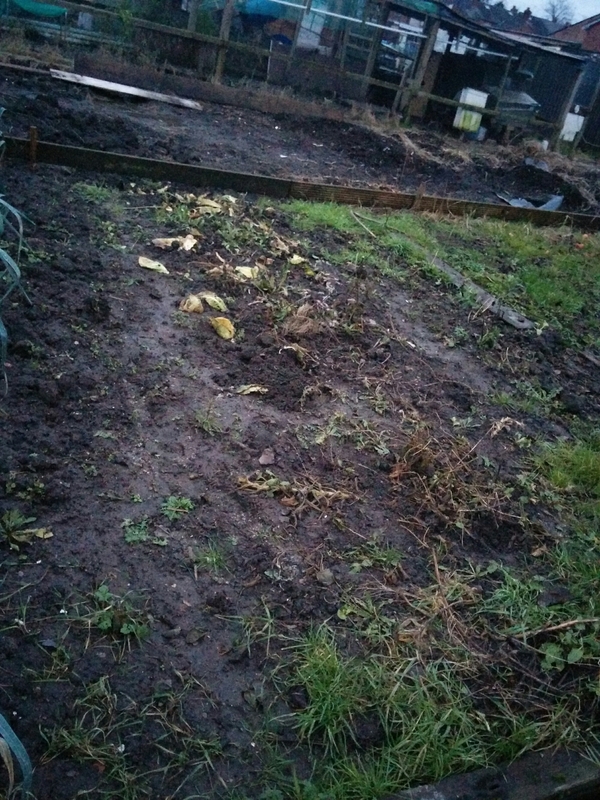 Also cleared some of the greenhouse too, getting rid of old tomato and aubergine plants. I am determined to make better use of the greenhouse next year. When I left the chickens had just taken themselves to bed, about 4 pm so I took the hint and went home. At home I had time to hang the Christmas wreath from the door. This required some creative thinking and, I flatter myself, the result using red and green ribbon adds a certain je ne sais quoi to our front door. 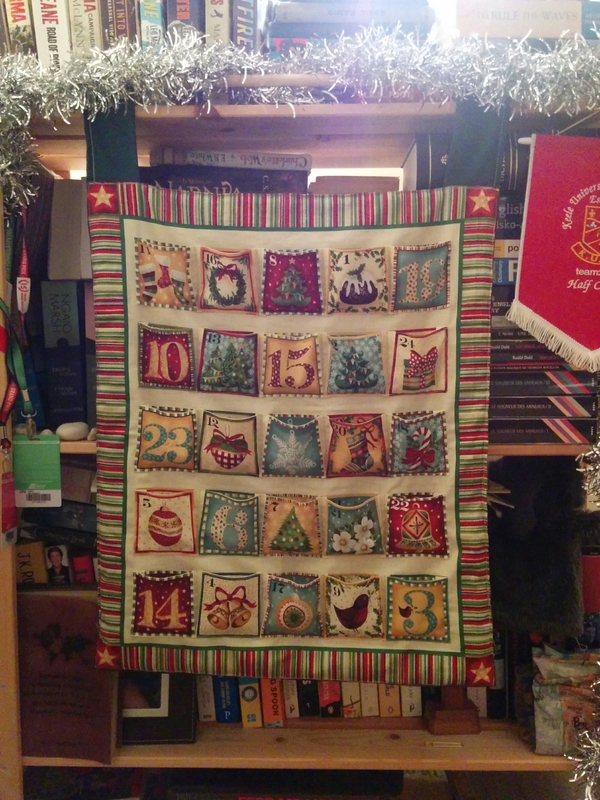 After this I felt on a roll and finished off the advent calendar. Yes I know its weeks late but I think you will agree, it was worth the wait! Question is, with work the next two days, will I have time to complete the rest of the Christmas decorations and baking ready for Saturday afternoon? !